India's key equity indices bounced back on Tuesday, gaining one per cent each, as global crude oil prices declined and domestic consumer inflation cooled, boosting investor sentiment.On Tuesday, the benchmark Brent crude price eased to $68.80 a barrel after topping the $71-mark on Monday. As a result, the S&P BSE Energy index gained 1.91 per cent, while oil and gas stocks rose 1.80 per cent.The rupee too recovered to 72.67 to a US dollar, from 72.89 on Monday.Finance and banking stocks also got a lift, after retail inflation slowed to a nearly one-year low on cheaper food items.The retail inflation decelerated to 3.31 per cent on year in October, from 3.70 per cent the previous month, reducing the odds of an interest rate increase when the Reserve Bank of India reviews the monetary policy in December.Healthcare and media indices traded in the red.The S&P BSE Sensex gained 331.50 points to settle at 35,144.49 points. It had opened at 34,846.19, touching an intra-day high of 35,187.75 and a low of 34,672.20.The NSE Nifty50 closed 100.30 points or 0.96 per cent higher at 10,582.50. 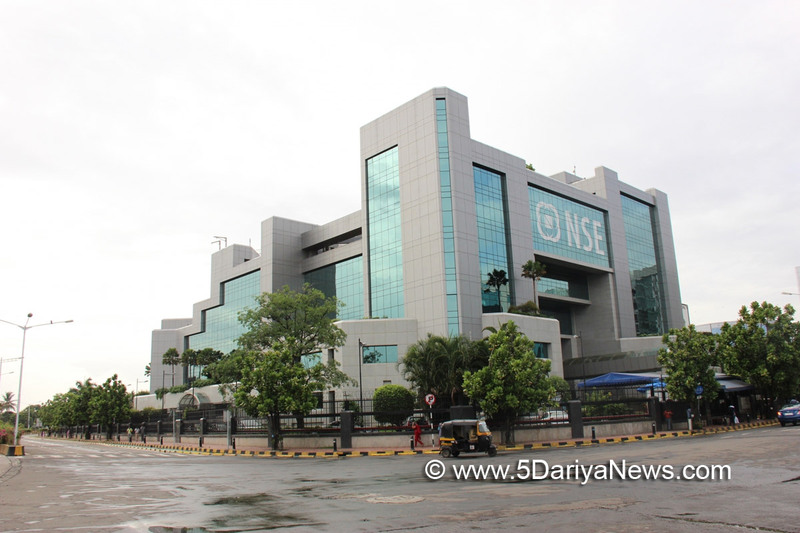 The S&P BSE MidCap index gained 0.31 per cent, while the S&P BSE SmallCap index rose 0.20 per cent. Both the barometer indices had declined one per cent each on Monday, as global crude prices headed higher after oil cartel OPEC said it would cut supply. "European equity markets opened higher on Tuesday, following a pull-back in the US stocks. Sentiment improved slightly after US President Donald Trump said that the group of oil producers - OPEC (Organisation of the Petroleum Exporting Countries) should not cut supply to prop up the market," said Abhijeet Dey, Senior Fund Manager-Equities, BNP Paribas Mutual Fund. On the economic front, India's industrial production grew 4.5 per cent in September 2018, compared to the upwardly revised 4.7 per cent in August 2018. August 2018 growth had initially been estimated at 4.3 per cent.HDFC Securities' Retail Research Head Deepak Jasani said: "Technically, the short-term trend of Nifty has turned positive. One may expect a re-test of key resistance of 10,645 levels in the next 1-2 sessions. Immediate support is now placed at 10,442." Provisional data with the exchanges showed that foreign institutional investors sold stocks worth Rs 494.95 crore on Tuesday while the domestic institutional investors bought scrips worth Rs 335.78 crore.The top gainers on the Sensex were led by ICICI Bank, up 2.44 per cent at Rs 360.90; NTPC, up 2.36 per cent at Rs 156.40; Axis Bank, up 2.05 per cent at Rs 618.60; Reliance Industries, up 1.93 per cent at Rs 1,099.55; and Larsen & Tubro, up 1.77 per cent at Rs 1,391.15 a share.The laggards were Sun Pharma, down 4.72 per cent at Rs 561.70; Tata Motors, down 3.31 per cent at Rs 179.80; Tata Motors (DVR), down 2.24 per cent at Rs 98.35; Power Grid, down 0.94 per cent at Rs 184.25, and IndusInd Bank down 0.49 per cent at Rs 1,484.40 per share.